Interfax news reports that the Russian Interreligious Council has called upon government officials to protect clergy from attacks. The call issued by the Russian Interreligious Council (which is composed of the ‘traditional’ Russian religions of Judaism, the Moscow Patriarchate version of Orthodox, Islamic leaders, Buddhists, etc) came on this past Monday. Much of the call comes in response to attacks on and the killing of 13 prominent Islamic leaders, including well-known Russian Muslim teachers Valiulla Yapukov and Said Chirkeisky in the Northern Caucasus region at the beginning of this year. The issue, undoubtedly with the Islamic leaders, is probably very complicated. The Russian Federation’s occupation and continued violence in Chechnya has led to an influx of foreign Islamic fighters from Muslim nations, as well as money from Islamic countries (and the possible destabilizing influence of CIA operations). This was bound to destabilize the whole region, and provoke a reaction against the more establishment type Russian Muslim leaders who may be seen as too sympathetic to the Russian Federation government (or may be agents?). Yet, also mentioned by the council is the ” ‘slander campaigns’ aimed against the Russian Orthodox Church’. What slander campaigns could they mean? 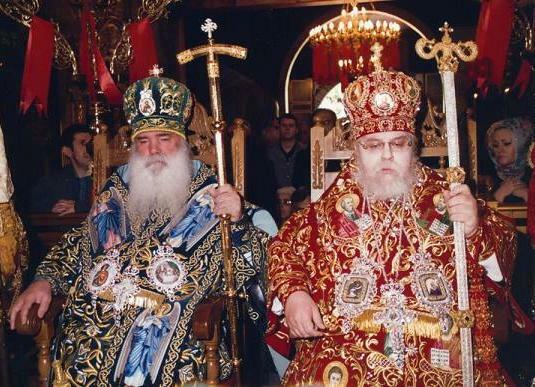 Perhaps the general dislike of the Moscow Patriarchate (which is what they mean by ‘Russian Orthodox Church) in Russia? About 35% of the population has no idea who the MP head is, this figure is nearly 50% among younger folks. By slander they obviously mean the reporting on the theft of Churches from ROAC in Suzdal; we are talking about temples that the ROAC clergy and laity build themselves from the ground up. Slander must also be when Russian Federation prosecutors try to throw people in insane asylums for being negative to the MP. Maybe the slander is the oft repeated belief in the Russian media that the MP is the ‘last standing arm of the Soviet government’. The average Russian is an irreligious person; surprisingly, more so than Western Europeans, Americans, and Hispanics. And this is only to be blamed on the complicity of the MP in acting as a propagator of anti-Christian teachings during the Soviet period. Yet, the various True Orthodox jurisdictions tend to be experiencing steady growth patterns, while the MP has difficulty getting 1% of its people to attend Pascha and Nativity services. The Russian may have been transformed into a recovering post-Soviet man, but, his irreligiousity may stem a great deal from the negative encounters and facts he knows about the Sergianist regime under Kirill and his predecessors. He has not had the opportunity to encounter true Orthodoxy to the same degree he has encountered Sergianism.